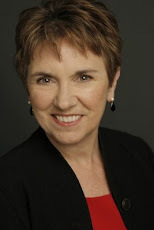 Internationally known therapist, author and trainer, Dr. Claudia Black holds a master’s degree in social work and a doctorate in social psychology. She is most recognized for her work with dysfunctional family systems. She has been featured in numerous publications including Newsweek, USA Today, The New York Times, The Los Angeles Times and has appeared on many television shows including The Phil Donahue Show, The Oprah Winfrey Show and The Today Show. Dr. Black is a recipient of a number of national awards including The Marty Mann Award, The SECAD Award and has been the NCA’s Educator of the Year. She is founder and past Chairperson of the National Association for Children of Alcoholics and presently serves on their Advisory Board. Dr. Black presents workshops, gives lectures and keynote addresses and provides consulting services to professional organizations and institutions. She presently is the Clinical Consultant to The Meadows Treatment Center, treating multi-addictive disorders. See her in the following three films, all available from FMS.